Note the sticker! 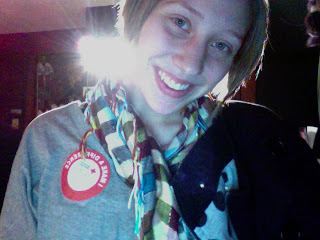 I gave blood today. I always feel soo good after doing so. It's just awesome to know you're helping someone from something as small as taking an hour out of your day! If you are ever debating on giving blood, definitely do it. I promise it doesn't hurt. I hate needles, but I've decided to make it a point to give blood whenever possible.